The original Halteman family began their journey in the Reading Terminal Market in 1918. They showcased meat from their family farm in center city, Philadelphia, at the Market. Several generations of the original family were involved until the Riehl family continued to build the brand to where it is today. Instead of changing names, the Riehl family wanted to capture the old-city mentality, quality, & history that kept the Halteman name alive. From 1997 to today, the Riehl family continued to bring quality meats from the heart of Lancaster County and other quality-minded farms in the Midwest. Their experienced butchers hand-cut all the beef, lamb, pork, and poultry that is available for purchase at the Market. 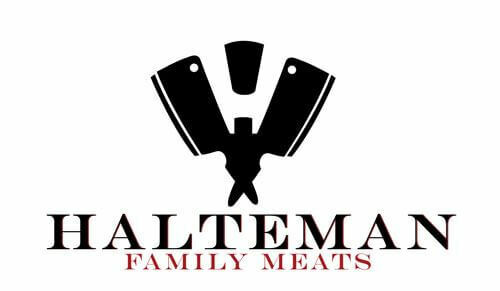 The family also smokes their own bacon and creates their flavored sausages in-house back in Lancaster, PA. The Riehl team is comprised of 3 brothers, Jake, JR, and Sam. Their parents are still involved in running the market stand & working in the smokehouse back home. Their vision is simple: to let the customer be the star when they are serving guests or family in their home. That is why they freely give away their butchering expertise to their customers and supply all the help it takes to cook a quality dining experience away from the 5-star restaurant. Visit them today at the Reading Terminal Market.